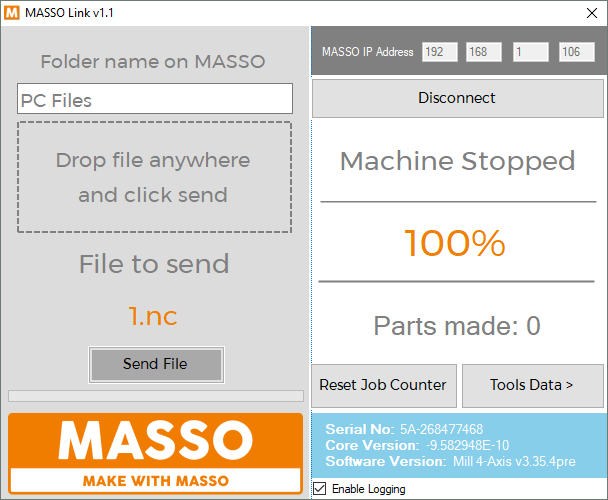 With the windows based MASSO Link software you can easily view real-time status of your MASSO controller remotely, transfer gcode files to MASSO from your PC, get tool data from MASSO’s memory and generate tools list document to be used with CAM software. Switch off the MASSO and remove the main label cover and slide out the label panel towards the left side. 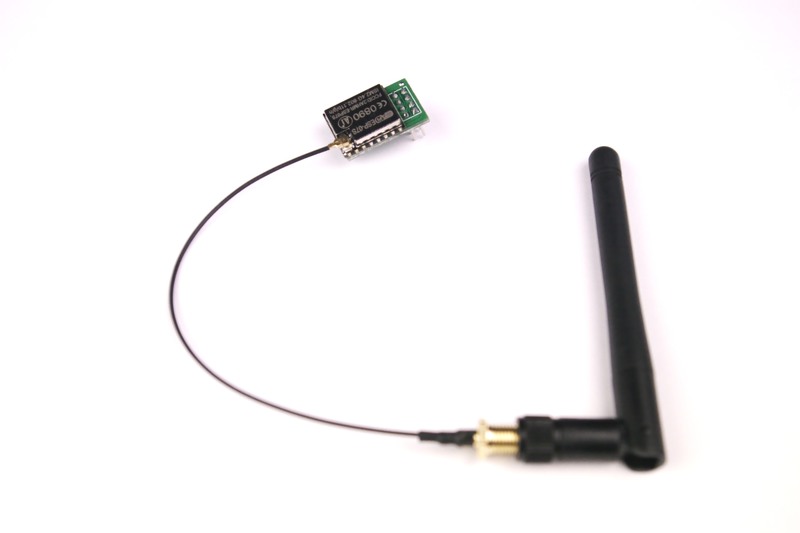 WARNING: Please make sure to install the WiFi module in the correct direction as shown in the below photo. 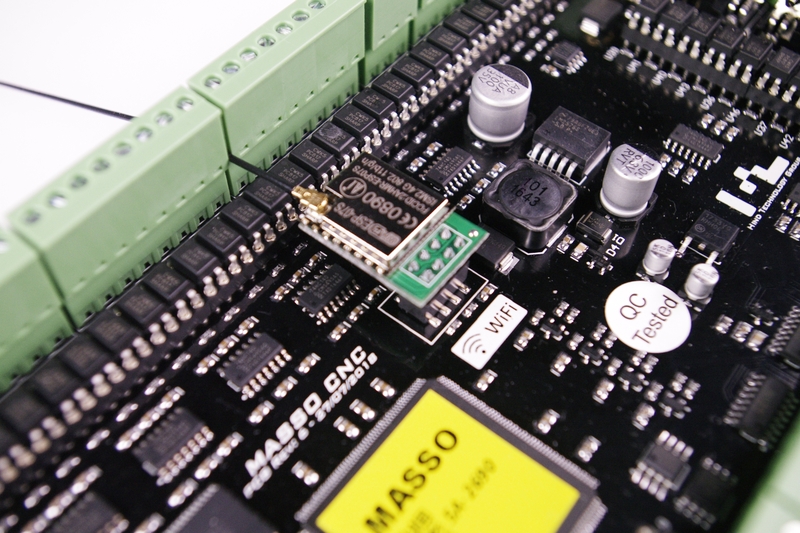 After installing the WiFi module the label panel can be installed back and MASSO powered up. After installing MASSO software v3.34 or above, MASSO status bar on the right side will display a Wi-Fi button and clicking the button will display the below WiFi Settings window. 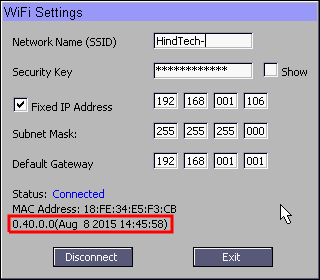 This window can be used to enter your WiFi network details, further you can also assign a static IP to the system. Please note that after entering the static IP information, click the connect button and you might have to power cycle MASSO for the IP address to be assigned to the WiFi module. As the ESP8266 chips can have different software versions installed on them by the manufacturer, the ESP’s software version is displayed in the WiFi Settings window as shown in the above image marked in red colour. The MASSO Link software is designed to work on Windows. Download the ZIP file of the latest version of the MASSO Link software and extract all the files in a folder. Next double click MASSO Link icon to start the software. Now enter the IP address that is displayed in the MASSO WiFi Settings window and click the Connect button. 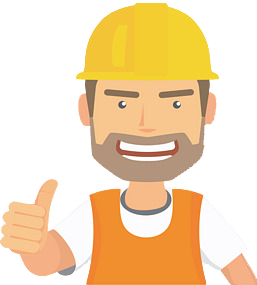 Once connected, gcode files with .txt, .nc, .cnc, .tap, .eia extensions can be dragged and dropped on to the MASSO Link software window. Please note that a USB pen drive needs to be connected to MASSO to store these files. A folder name can be give and all the files sent from MASSO Link will be saved on MASSO in this folder name, else keeping this blank will save the files on the root folder of the pen drive. Click Send File to send the file to MASSO.